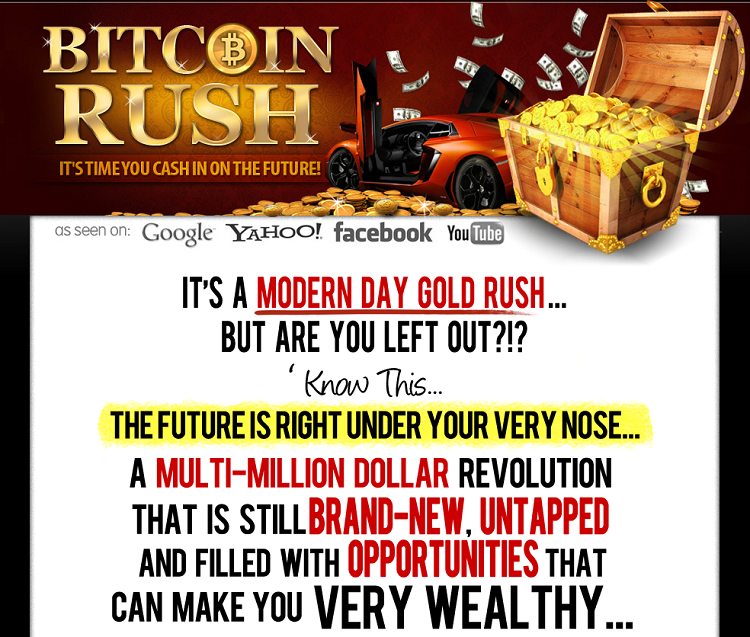 Bitcoin and other Cryptocurrency are one of the hottest investment opportunities occurring on a global basis. 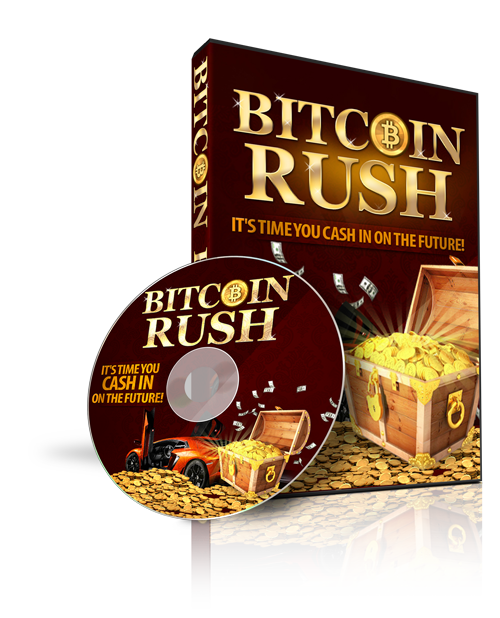 Bitcoin Rush is a full turnkey Master Resell Rights Package and Video series that will explain everything you need to know about Bitcoin so you can start investing or making money with Bitcoin and other Cryptocurrency. Plus, you can resell this entire package to your customers for money and/or use it for your own education purposes. 1. 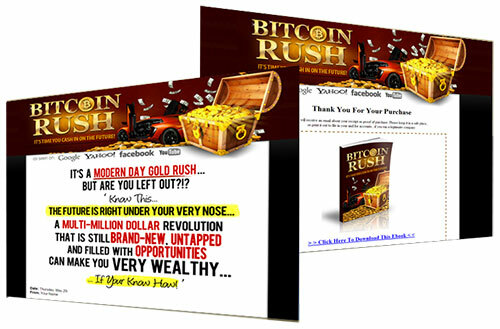 Sales Page - You get a full Bitcoin Rush product sales page for selling the product. 2. Product Download Page - You get a product download page so customers can download the product. Video 1 - What Is Bitcoin And Cryptocurrency? Video 2 - How does Bitcoin work? [YES] - Can sell and keep 100% of the sales. [YES] - Can edit the sales letter and graphics. [YES] - Can be bundled into another paid package and sell at a higher price. [YES] - Can be used as a bonus to another product you are selling. [YES] - Can be sold in a Dime sale event. [YES] - Can be added into a paid membership site. [YES] - Can pass on the Resell Rights privilege to your customers. [YES] - Can you portions of the product on your blog or website, etc. [NO] - Can be given away for free. [NO] - Contents of the product can be edited, modified or altered.